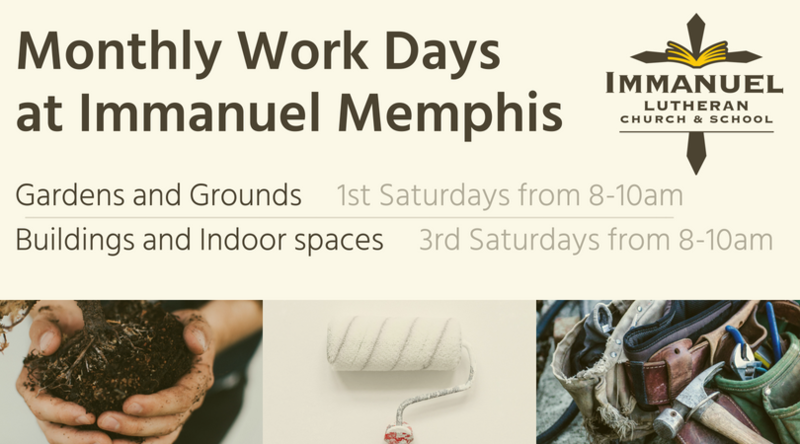 You have the opportunity to serve at Immanuel on the 1st and 3rd Saturday of each month. During these times we will be working on various projects to maintain and improve our buildings and grounds. Follow the link below to see a list of current projects as well as what has been completed in recent months.